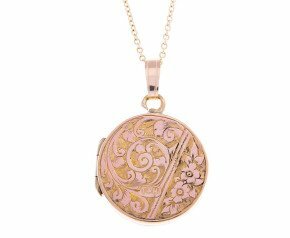 Having come in to fashion in the late 1800's, vintage lockets are some of the most beautiful creations in the jewellery world. 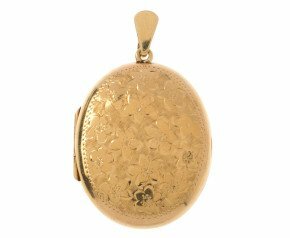 Crafted often in sterling silver, but also 9ct gold and the popular front and back style, lockets from the vintage era were designed in oval, heart and rectangular shapes most frequently. 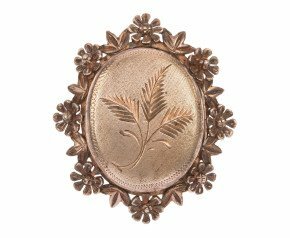 Vintage embrace such styles as Art Deco lockets and retro lockets. More often storing photographs of loved ones, they were also frequently more substantial in size so you could fit small trinkets inside some should you wish. 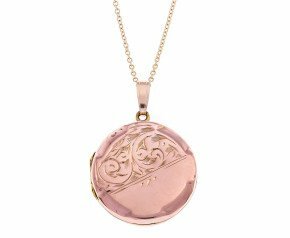 Buy vintage lockets from The Fine Jewellery Company and have a beloved keepsake from years gone by, to pass on to the generations of the future. 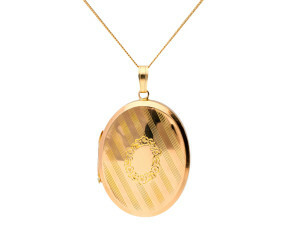 Vintage lockets have remained in fashion for many years. 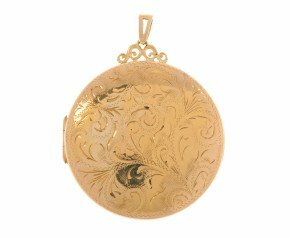 With elaborate designs and finishes, crafted in silver, gold and front and back designs, lockets from the mid-20th Century are delights from the past that will still be appreciated for years to come. 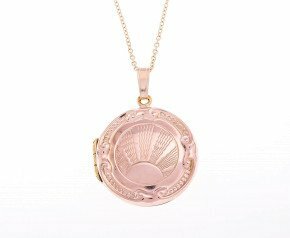 Vintage gold lockets made from 9k gold are often styled with sunrise designs or some sort of symbolic flower, silver vintage lockets were often designed with belt buckles - a similar significance to the serpent - offering fidelity, eternity, strength and protection. From bold Art Deco lockets, to lockets with beautiful enamel work and gemstones, our vintage locket range offers something for every jewellery collector.